Those who know me know that I do not dabble in “pop” music much these days, and when promo comes in comparing bands with this, that, and, any other outfit that I regard as a bit naff, it tends to put me off. I have to admit I was a bit put off by the promo for this lot, but I sat and listened to the track and I forgot about all the verbiage and sank into the music. Good job I did really. What you have is excellent vocals, great melodic development and great structure. To describe it as pop misses the point to some extent – this is superior stuff and goes beyond the confines of a “typical” pop single. 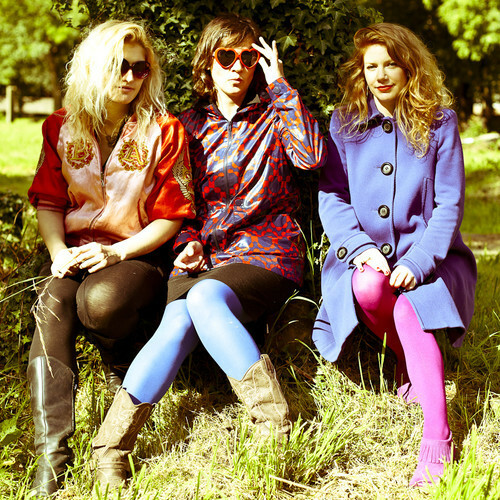 So we are talking about Iceni – who are Lindsay Hannon, Liz Corney & Lady Caroline Mary – piano, bass and drums – they are from Newcastle and they sound rather good indeed. Here is their single which is out June 2nd – where from and how you get it is, as yet, unknown to me so I suggest you make friends with them on Facebook and no doubt they will keep you posted. Posted on April 22, 2014 by HalfEdgeMediaPosted in Single ReviewTagged Iceni. Previous Previous post: Of forgotten wars and evil smelling syrups ……..